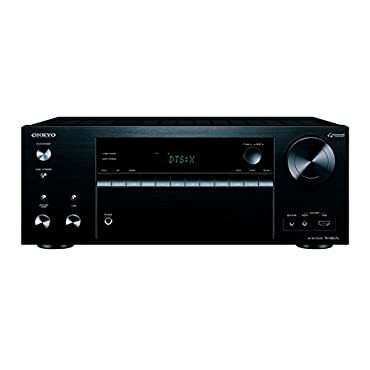 Onkyo TX-NR676 7.2-Channel Network A/V Receiver. Feature Packed with Power to Spare The TX-NR676 can drive your surround system with ease while reproducing even the most demanding soundtracks with clarity not heard before. This thoroughbred A/V receiver streamlines access to app-based music, on-demand TV, games, and more. Linking your 4KTV and up to seven media players over HDMI , the TX-NR676 processes all the popular Hi-Res and object-based audio codecs while Dynamic Audio Amplification reproduces sound flawlessly for an adrenalin-pumping theater experience. Future-focused, the receiver plays almost any audio accessible to your mobile device or PC over dual-band Wi-Fi, and comes with Chromecast built-in* and DTS Play-Fi *, which make mirroring music a one-tap operation. You can share network content, analog audio from your Blu-ray Disc player, turntable, and more to supported network multi-room speakers over FireConnect powered by Blackfire. 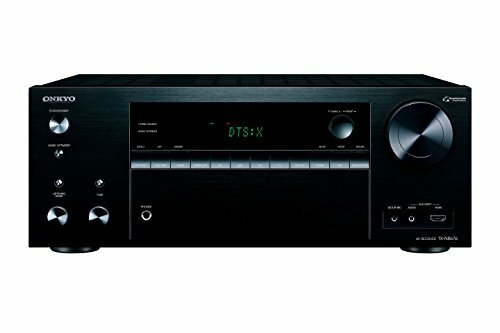 Any way you add it up it's a receiver packed with features and one of the best sounding amps available. Unlock Dolby Atmos and DTS:X Playback Object-based soundtracks allow independently mixed sound to play through any speaker in your system. While we aim to supply accurate product information, it is sourced by manufacturers, suppliers and marketplace sellers, and has not been provided by Overstock. Last updated: April 20, 2019 at 22:06 EST. Pricing information is provided by the listed merchants. GoSale.com is not responsible for the accuracy of pricing information, product information or the images provided. Product prices and availability is subject to change. Any price and availability information displayed on amazon.com or other merchants at the time of purchase will apply to the purchase of the product. As always, be sure to visit the merchant's site to review and verify product information, price, and shipping costs. GoSale.com is not responsible for the content and opinions contained in customer submitted reviews.